The EU is introducing new rules to improve the way member states exchange information on convictions of third country nationals. Council and Parliament negotiators today agreed on a reformed European criminal records information system (ECRIS) that will now include a centralised database with information on convictions of third country nationals and stateless persons (so-called ECRIS-TCN). This provisional political agreement will now have to be confirmed by the two institutions. The Council today adopted a regulation on the mutual recognition of freezing and confiscation orders. The aim of the new rules is to ensure the effective freezing and confiscation of criminal assets across the EU. This will help make the EU more secure by tackling the financing of criminal activities, including acts of terrorism. 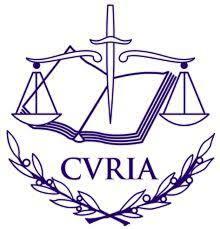 On 25 July 2018 the CJEU released two judgments concerning the European Arrest Warrant (EAW). On 20 June 2018, the Council, following a provisional agreement with the European Parliament, agreed on new rules concerning the mutual recognition of freezing and confiscation orders. The new regulation aims to ensure the effective freezing and confiscation of criminal assets across the EU. This will contribute to making the EU more secure by combating the financing of crime, including terrorist activities.